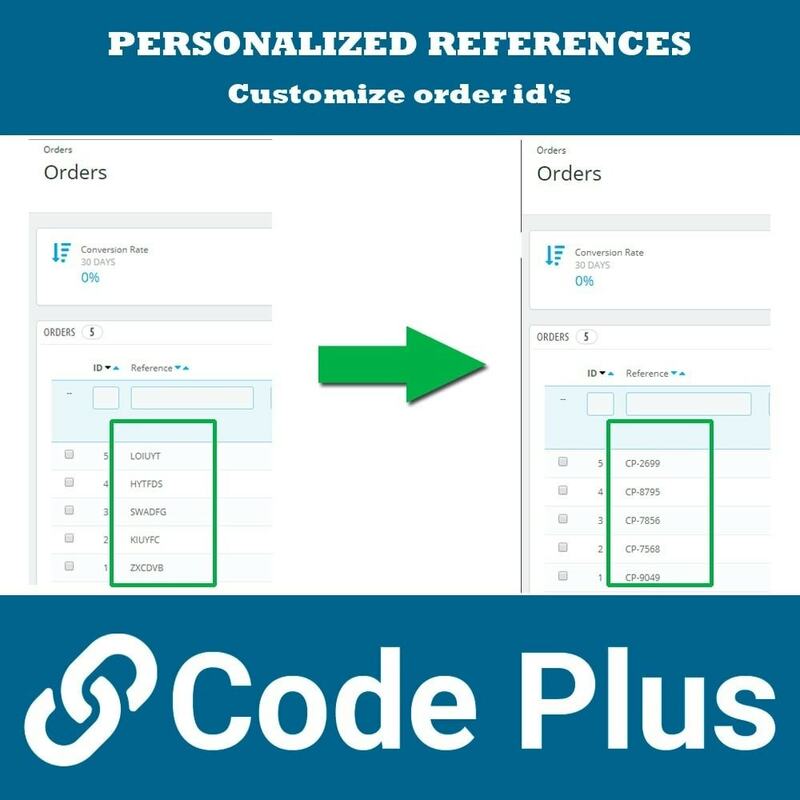 Customize the order references as you want. You can include static suffixes, dates, and choose the reference as the order id, incremental or random numbers. Customize the complicated references applied by default (type: FDRVBH) by personalized references, simple and easier to handle (example: BRAND-0001). You can choose whether to reindex all the references of the orders, or only the new ones. You can indicate a static prefix in the references. 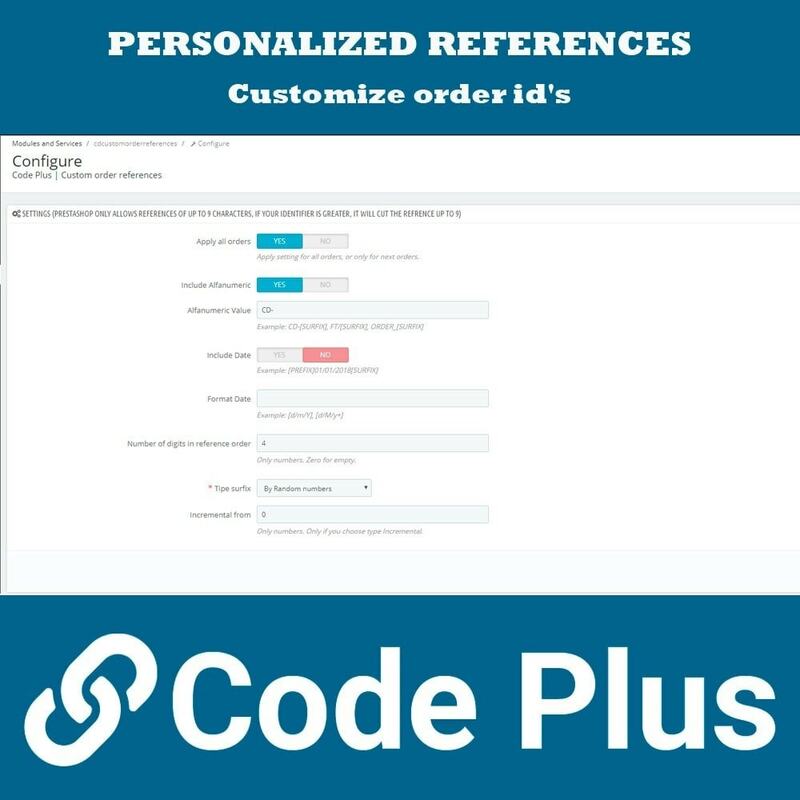 You can include the order date in the references, and choose the format to display. > By incremental numbers (you can choose which number to start). 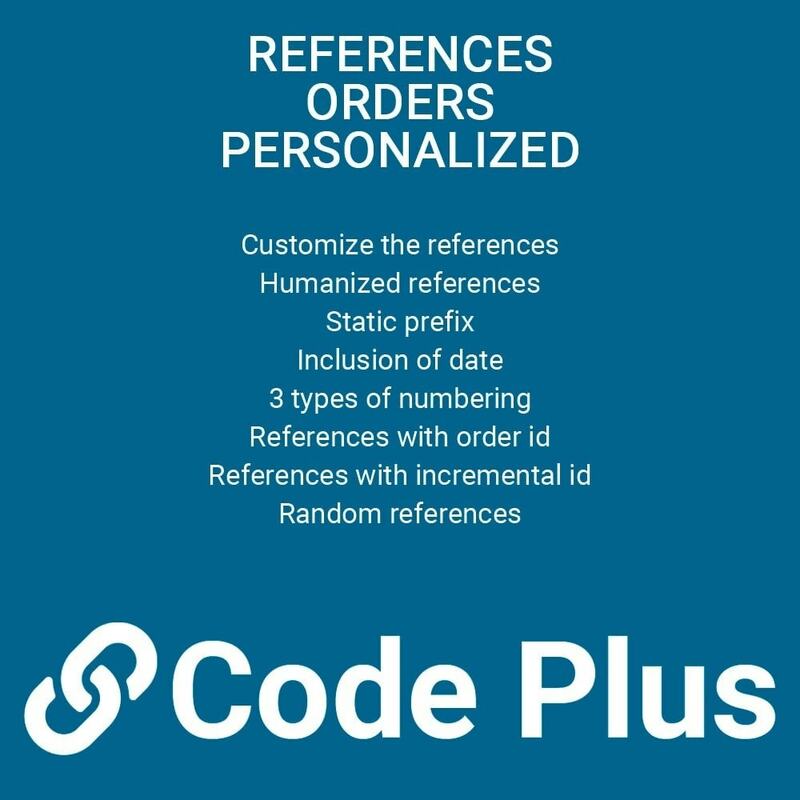 Simplifies order management, with references to humanized, easy to remember and simpler orders for daily management. It facilitates the management of orders, by offering reference id more simple, fully customized. Simplify the work with orders, to have references easy to handle and remember. Selection of reindexing of all the orders, or only of the new ones. Selection of type of date format. Selection of type of numbering: by id, correlative or random. You can choose from which number to start the numbering. Compatible with multi-shop and multi-language. Avoid duplicate content including canonical url's and hrflag. Improve positioning. Switches Debug mode easily from any page of Back Office.It eliminates the system cache from the Back Office in just 2 clicks. Make payments without the need of orders with a simple link.You can specify the fields, or leave them free to fill in by the client.